EDIT 1/15 : The original Silk Road was taken down by the FBI several months ago. Not long after this Silk Road 2 came online. While the basic material in this tutorial is still valid there have been small changes to the navigation and content of the new Silk Road site. I will update this tutorial when I have the time but it will still give you a good idea of how to navigate SR.
What is Silk Road? 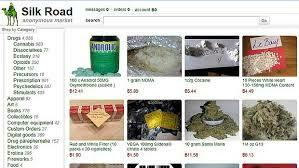 The Silk Road is like an eBay of the black market. On it you’ll find many things for sale that you can’t find on ebay such as marijuana, heroin, meth, cocaine and most any other drug you can think of. There are also other black market items such as forged drivers licenses, currency exchangers, pirated digital goods, hacked passwords for pay sites and much more for sale. How can this be? The Silk Road resides on what is known as a “hidden server”. Unlike normal Internet servers that can be traced to their physical location, a hidden server is…well…hidden! Silk Road can be accessed *securely* only through a special piece of software called TOR (The Onion Router). TOR all but guarantees complete anonymity for both the visitor of the site and the site itself. The proof of this is obvious. In the summer of 2011, Senator Charles Schumer called for the DEA to shutdown Silk Road. Almost two years later, not only is Silk Road still operational, it is growing at a tremendous rate. The owner of the site (the “Dread Pirate Roberts”), simply cannot be found. What’s more, the vast majority of packages being mailed by Silk Road vendors get delivered. There are sites such as http://onion.to available that will allow users to visit hidden “onion” sites with any browser (chrome, firefox etc). Be aware that if you visit these hidden sites like this YOU are not hidden. Your IP address is still visible (at least to the onion.to site owner). This means that you could potentially be identified. Of course it’s no crime to visit a web site, even one like Silk Road, but if you are going to start ordering from Silk Road it would be a very good idea to use TOR. So is it safe to order off of Silk Road? The answer is for the most part yes. There are so many deals going on every day there and if read the forums you will see that while occasionally a package goes missing, for the most part there are little to no stories of people getting arrested for receiving packages. There have been a few recent events where this has happened, but in each case, the person signed for the package. Big mistake! I cover this more thoroughly on the security page of this guide. Remember though, that while this is reasonably safe, no drug deal is 100% safe, particularly if you mess up and do something stupid. Read the security page of this guide carefully and you might go into the Silk Road forums for more information. You should also take precautions to avoid any suspicion or getting ripped off. Even with their escrow system, the Silk Road forums have many tales of people being ripped off. 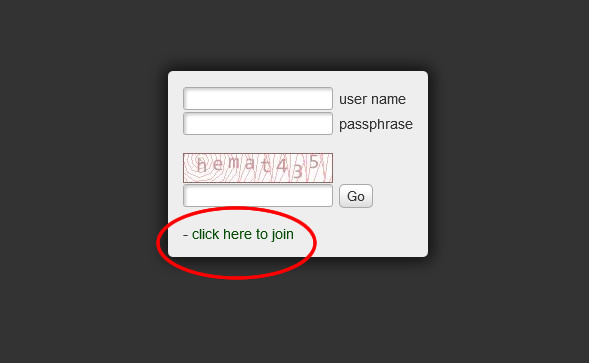 Click the “Click here to join”: It will take you to the signup page shown below. Make up a username, password and pin. It is VERY important to remember your password and PIN. Unlike other sites there is NO password recovery. 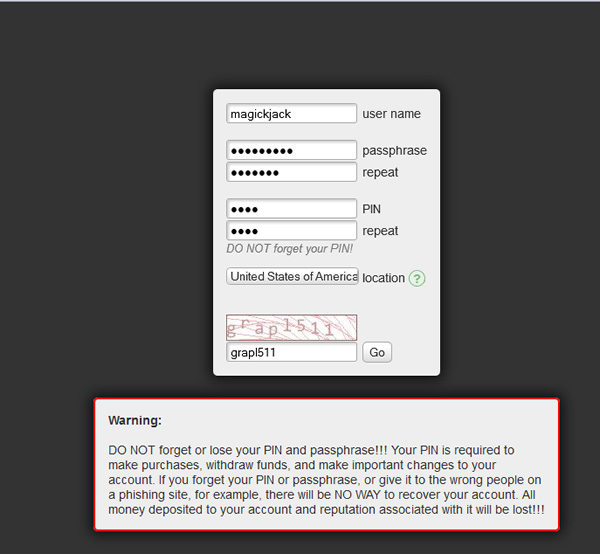 This means if you put money in your Silk Road wallet and lose your password you will lose your money! I suggest writing down your username, password and pin and put it in a safe place. If you simply put it in a note on your computer and your computer hard drive crashes you are out of luck so take a moment and be sure this is safe. When you are finished login and continue to step #2.